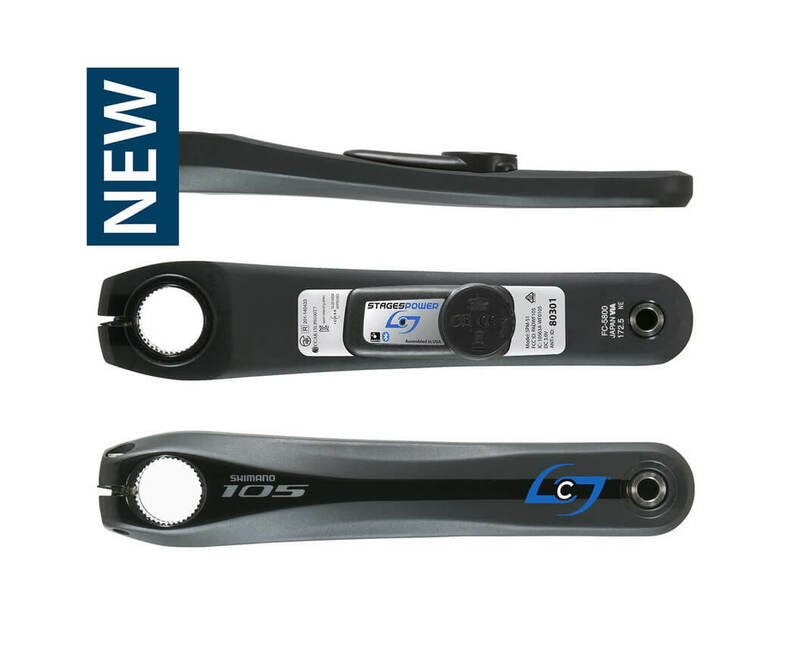 Compatible with all Shimano Hollowtech II road cranks, the Stages Shimano 105 5800 Power Meter replaces your current left-side crank arm. Like all Stages power meters, this unit features +/- 1.5% accuracy, 200 hours of battery life and is lightweight at only 20 grams of added weight. In addition, the power meter is compatible with both ANT+ and Bluetooth SMART devices. This means you can use a bicycle computer with ANT+ or your smartphone or tablet with Bluetooth SMART. This power meter is compatible with all Shimano Hollowtech II road cranks (DURA-ACE, Ultegra and 105). I’m enjoying this power meter thanks to power meter city great customer service and appreciation of customer loyalty. This is my second power meter from them and they were kind enough to upgrade my shipping option in an exchange for an honest unbiased review of my first power meter. Hi Wmomran. Thank you for being a great customer but more importantly, we’re glad your Stages 105 5800 is working out for you. We’re here 7 days a week if you have any support related questions for us! Excellent service with speedy response to query. The reason why I bought from PMC is because they took the effort to address my query on whether or not this would fix on any other Shimano hollowtech two cranks within a day! I’ve happily received the unit after a few days of placing my order (am in Asia) and I can’t be happier with their service. On top of that, free shipping for this unit! Guys, these dudes really deserve our business! Hi Jin_KX. Thanks for leaving us a quick product review. We hope you get a lot of good use out of your Stages 105 5800 and are happy to answer any other questions should they come up! Really enjoying finally getting Watts data with my fantastic Stages 105 5800. Communication from PMC and international delivery from DHL was first class. The installation was simple with a little help from Youtube and the calibration was straightforward. I have no hesitation in recommending PMC to anyone thinking about adding power metrics to their training data. Hi Tony. We’re glad to hear your Stages 105 5800 is delivering the goods! Thank you for your business and we hope you continue to enjoy it. I have been wanting a power meter for awhile. I finally pulled the trigger and I am very pleased. The pricing was great and arrived in short order. I also had a few questions about the power meter and its set up on my bike. I emailed PMC several times and got my questions answered either that night or first thing in the AM. I will do business again. Hi Charles. Thanks for letting us help you out on your Stages. We hope you get a lot of good miles out of it and are here if you need anything else! I have decided to get into powermeter training as the local cycling open circuit gets really windy and with PM prices getting down its time. Powermetercity chat guy was really knowligible and helpful, you really need that, the experience was fantastic and flawless. The stages 3rd gen itself is the third itteration, its mature to the level that you just forget its there ! Power data now is taken for granted on my wahoo element and Garmin finex 5 / Training peaks. Hi and thanks for the review on your Stages 105 5800. I’m glad we could help you out. Keep up the good work and let us know if you need anything else! Great customer service. All my questions were answered with a single phone call. The power meter was a wonderful addition to my training and you can’t bet the sale price! Hi Michelle. Thanks for leaving us a review on your Stages 105 5800. We’re glad it’s working out for you. Keep up the good work!